We’ve all been there. A letter icon on your phone has a five-digit number in the top corner and your apprehension at tackling it grows stronger every day. Lucky for you, there’s a handy method called inbox zero which you can use to blast through your messages and stay on top of your backlog. Say goodbye to email hell; your easy (and free) solution has arrived. Coined by Merlin Mann, “inbox zero” is a way of managing your inbox so that you spend next to no time doing so (while getting through every message you have). I’ll admit to being guilty (like many others) of using it to describe having nothing in my inbox but, alas, that wasn’t Mann’s original intention. In practice it’s a very similar meaning (if you keep your inbox at zero items, it’ll take next to no time to use it going forwards) but it’s worth noting that most people refer to it in terms of the number of items in your inbox. The underlying idea is simple. Take action on everything immediately leaving nothing floating in your inbox. That doesn’t mean that you have to immediately complete every task or respond to every email that comes your way. Instead, the goal is to take some form of action on everything in order to put it into progress. Start by deleting any items that need to be deleted. The main thing here is to not put things off to delete for later – if they need getting rid of, do it straight away and clear the clutter from your inbox and headspace. “Delegate” is simple – if the email or task needs the attention of someone else before you can make progress, make sure that you delegate it to the correct person. That way people aren’t waiting for you to simply pass on information, and can get started on their work as soon as possible. “Respond” is pretty self-explanatory, and is something that should be done in most cases when the email actually matters. That way the sender knows that you’ve received and read their message, and you’ve immediately taken action on the email to remove it from your inbox. If you include an estimate of when the related task or issue will be completed then you’ll double up by giving yourself the motivation to stick to that deadline. “Defer” means to put off the email or task until later. This is usually in the case of items that need doing but aren’t too important or immediately pressing. The important thing is to make sure that the task doesn’t go ignored. For example, if you’re inside your inbox you could snooze the email to make it appear later when you’ll have the time to deal with it. Alternatively, you could adjust the due date of a task in order to accomplish the same thing. Finally, we have “Do”. In other words, anything that can be done quickly (we here at Process Street usually say within around 20 minutes), it should be dealt with immediately in order to clear it off of your schedule. Before we dive into how to apply inbox zero, it’s worth noting the psychology behind your inbox and the theories around why you keep it in the state it’s in. Everyone can benefit from learning how best to keep their inbox sorted but it’s always nice to know a little about why you got to the state you’re in in the first place. The filer/deleter will tend to keep their inbox clear by taking immediate action – this is (usually) the class of anyone who sticks with inbox zero (whether they’re aware of it or not). Whether a messy inbox causes them to get anxious or they just like to stay on top of everything, chances are that you’re doing okay with your own method. However, that doesn’t mean a more structured approach to getting to inbox zero wouldn’t save you time and effort. Filers and deleters may read their messages, process them, and then either archive or delete them to clear their inbox but there’s every chance that doing so takes too much time and distracts you from doing more important tasks. A “saver” is sort of a half-way point to getting to inbox zero. While they read all of their emails (and may even reply to all that need replying to), they then leave them to clutter their inbox instead of archiving or deleting them. Dr. Pamela Rutledge (Director of the Media Psychology Research Center) has suggested a few explanations for this attitude, primarily that most savers are either perfectionists or afraid of uncertainty. By keeping their emails (or tasks) they feel more certain that they can effectively act on them, even if there’s realistically no reason to keep them. Finally, we have the ignorer. This group tends to have overflowing inboxes of messages that simply don’t get read. However, this isn’t always a bad thing. Yes, sometimes you might ignore emails because you’re busy, overwhelmed, or even afraid of what you might find. However, it’s entirely possible that the time you would spend on sorting through your emails could be better spent making progress elsewhere. 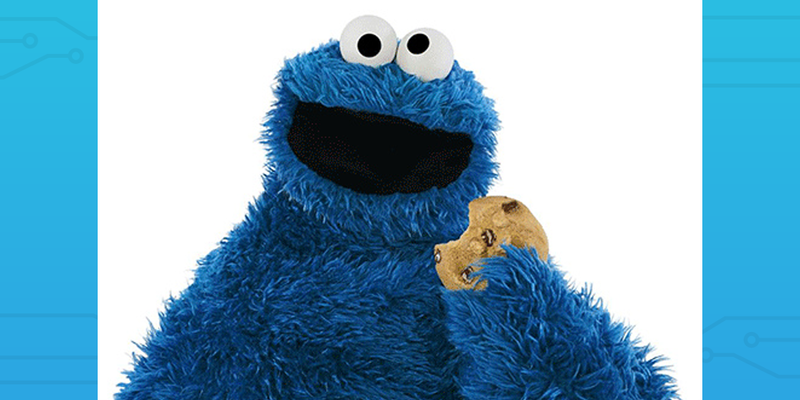 Then there’s my favorite view of people which fits neatly into the idea of sorting your inbox: the Muppet Theory. You’re either a Chaos Muppet or an Order Muppet. While there’s some overlap and a few exceptions, chances are that Chaos Muppets will have full inboxes and generally find it harder to stay organized while Order Muppets are the opposite. Chaos Muppets benefit in different ways than just being organized, however, as they are often more able to freely ignore work that doesn’t really matter in the long run. To an Order Muppet it might look nonsensical and unproductive but the Chaos Muppet simply works in a different (messier) way. However, I never said it was an in-depth theory or one that’s got a lot of evidence to back it up. It makes a lot of sense to me and I like the fun approach it takes to the subject, so that’s why you’re getting a picture of the best Chaos Muppet around. 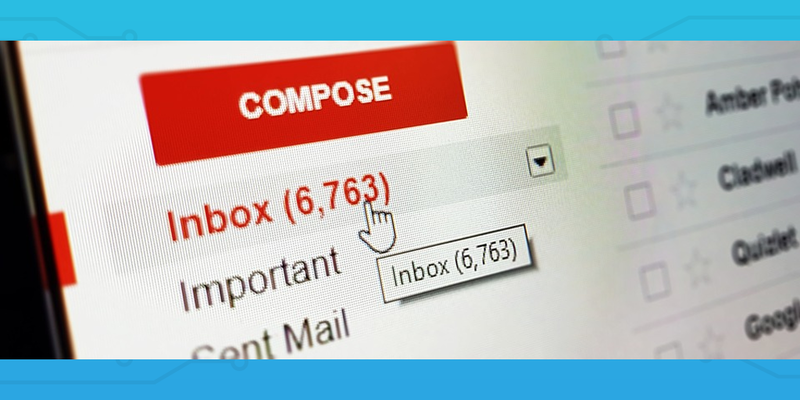 Although the theory behind inbox zero remains the same no matter what you apply it to, there are a few key differences in how it works in practice depending on whether you’re looking at your email or task inbox. 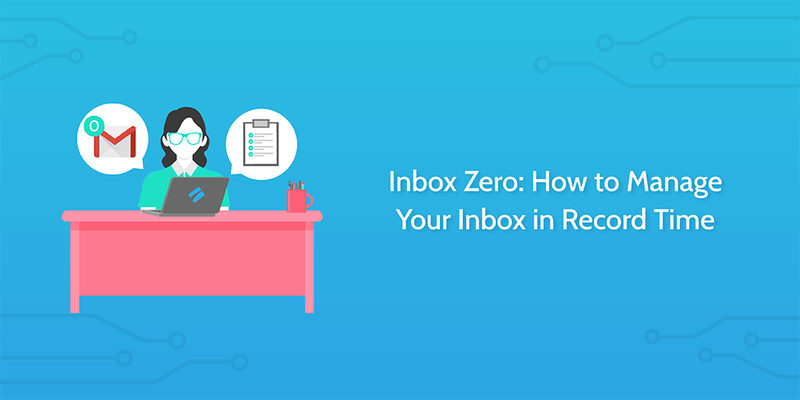 That’s why the rest of this post will show you a few key tips you should know to get inbox zero right in action. Let’s start off with some tips for maintaining inbox zero with your email. The easiest way to achieve inbox zero is to block out a set time dedicated to sorting through your emails. It may sound obvious but I was shocked at the difference it made to my ability to keep a clear inbox. I used to check my email whenever I remembered to, instead of having a set time. This meant that I went days without touching my account, making me late in replying to important or valuable messages. I would dread opening my inbox more and more as time went by, knowing that I would have to sort through 1,000+ emails as soon as I did. Nowadays, I have a reminder set to sort through my emails and apply the inbox zero technique mentioned earlier at 4 pm every day. Sure, sometimes I still forget but the reminder alone was the biggest step to applying what I already knew about maintaining inbox zero. Another great way to make your life easier is to dive into your email service’s features and explore what’s possible. Most email clients let you label emails, move them into custom folders, snooze them or set reminders, and even funnel messages into different inboxes. Take Gmail, for example. You don’t need any fancy Gmail extensions in order to organize your inbox – all you need to do is explore it a little. It has a feature which lets you create multiple inboxes which you can view at the same time on your dashboard. 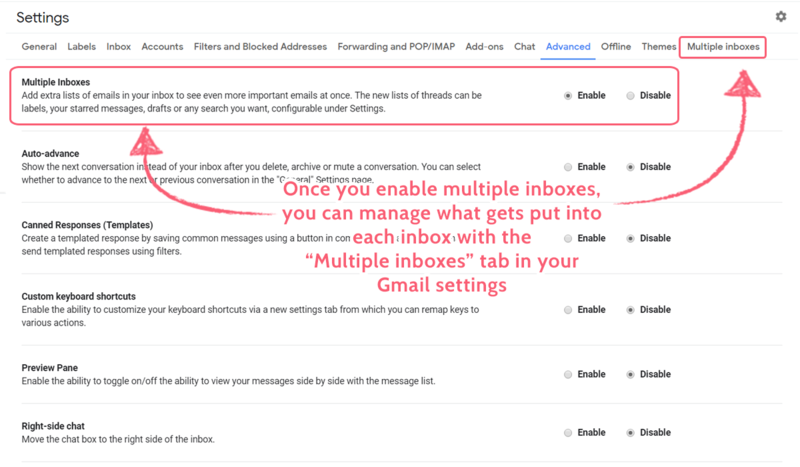 To do this, go to your “Settings”, then click on “Advanced” and enable “Multiple Inboxes”. These inboxes can then be set to contain messages with certain labels and nothing else through the “Multiple Inboxes” section of your Gmail settings. This lets you take immediate action on all of your new emails by assigning them labels based on the action you need to take. As long as you go through and apply a label to every email you get, your main inbox will then remain at zero and take almost no time to organize when you next work through it. Then, when you have more time, you can work through your categorized inboxes and take action as needed. As always, you can save even more time by making use of business process automation platforms like Zapier. Let’s say that you’ve got a couple of inboxes set up in Gmail based on the labels that your emails have. Using Zapier, you could detect when you receive a new email, use a filter to detect what kind of email it is, then automatically apply the appropriate label. For example, if you’re subscribed to a lot of blogs which end up cluttering your inbox with subscription emails, you could use Zapier to search for all emails from those blogs and apply the “Reading” label to them. That way they’re not mixed in with your other messages and you know exactly what they are and what action (if any) needs to be taken on them. Maintaining inbox zero isn’t entirely down to your email account. Your “inbox” could be anything that needs you to take action on a set of items in some way. In other words, inbox zero is a great method to use in your task management arsenal. We’ve all had times where the number of things you have to do gets overwhelming, resulting in some tasks getting forgotten or just plain ignored in favor of more pressing issues. However, by applying Merlin Mann’s techniques here it’s possible to quickly organize your tasks into categories that let you get as much done as possible. Not to mention it’s a great way to get in the habit of clearing smaller tasks off your schedule sooner rather than later (if you have the time). Trying to manage your task list without an app isn’t impossible. However, with anything beyond a small personal list that never goes beyond five or six items, you’ll quickly find that relying on physical notes or even a Word document just won’t cut it. You need a task management app. Honestly, the app you use isn’t too important – almost all have some kind of inbox system (even if it’s a case of setting up an “Inbox” status to assign to new tasks) and so can serve as a baseline for implementing the inbox zero technique. Personally, I’ve found Trello and (later) Airtable to be fantastic for managing tasks and projects, and both have the ability to funnel new tasks into an “inbox” (a place for tasks with the “Inbox” label/status). If you’re just starting out with task management apps or are looking for a program which is entirely focused on tasks and tasks alone, I would recommend Trello due to its simplicity and ease-of-use. For anyone looking for a tool which lets you manage tasks, create and link together smart spreadsheets, work with your team in-depth, and store your data in a huge database, Airtable is a better shout. Much like with your emails, it pays to have a set time every day for sorting through and organizing your inbox. There’s not much extra to say that wasn’t mentioned in the email inbox section, other than that I’d recommend using a calendar to block out your time. For example, I use my Google Calendar to organize my time for everything from personal tasks and meetings to my work hours and holidays. Straight after I’ve blocked out 10 minutes to sort out my email inbox every day, I have another 10-minute task to sort through my task inbox. I won’t pretend that I remember to do it every day. Even so, having the consistent reminder pop up in the afternoons spurs me into action more often than not, resulting in a task inbox that gets sorted before things get overwhelming. Remember; you don’t have to complete the tasks you have in your inbox straight away. As long as you look through them and sort them according to what needs to be done, you’re all set to dive right in on the items that need your attention. One of our core values here at Process Street is to over-communicate everything, twice. This includes making sure that everyone who might need to know about what you’re working on is aware of your task’s progress and any changes you’ve made to projects that they’re related to or involved with. In other words, we’re always talking to each other about our work. This makes sure that everyone knows the status of projects and what’s waiting on them (and who they’re waiting on in turn), and gets us motivated to sort through our tasks to get our schedules organized. It’s easy to ignore or forget your task inbox if you’re working alone. It’s much harder to do that if you know which team members are waiting for you to make progress and who to follow up on if things are falling behind. Process Street is a powerful tool which you can use to make sure that your team stays organized, works through their task inboxes on time, and carries out your processes accurately every time. By creating process templates, your team will have instructions to follow to carry out all of their duties to a high standard without forgetting a single step. These templates can then be run as single-instance checklists which you and your team can record your progress with as you work through your tasks. Process Street Inbox is where things get really interesting (at least, as far as this post is concerned). Any tasks and checklists that you’re assigned to will show in your Process Street Inbox, which is automatically ordered by due date to show you what order you need to tackle your tasks. If something isn’t time sensitive or can just plain afford to wait, any task can be snoozed to send it further down your inbox. You can also swap to examine the inbox of your other team members, making sure that everyone can easily stay on top of how things are going and how busy everyone else is. Want to get a head start on getting your inbox to zero and organizing your tasks? Try Process Street for free today. How do you organize your inbox? I’d love to hear any tips you have in the comments below! Is it really possible to have an empty inbox at all time? Is Merlin Mann still sticking to this theory, or has he revised it a bit? I am all for a manageable size of email messages at certain times, but I wouldn’t take all my time to get it down do 0 for the sake of it. I don’t know about Ben, but I’ve been having some success with inbox zero recently. Early in the day – but not first thing – I’ll make sure my inboxes are at zero. Then throughout the day I get notifications about new emails and just quickly jump on them in the spaces between tasks. It has been going pretty well so far. I don’t feel like it’s taking much effort at all, nor time, and that fat 0 against my inbox is strangely soothing. Thank you. This Chaos Muppet has some deletin’ to do! If this mange it will record.